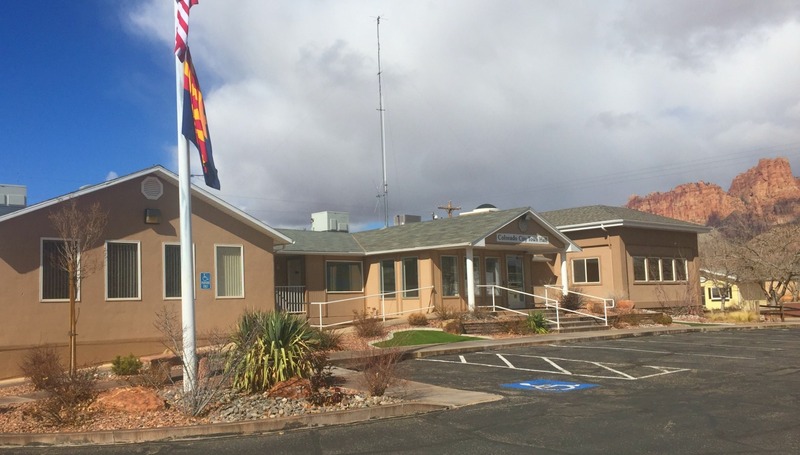 COLORADO CITY — The Colorado City, Arizona, Town Council voted to terminate the employment Chief Marshal Jerry Darger effective mid-March, Mayor Joseph Allred told St. George News Wednesday. Allred said compliance requirements placed upon the department from the courts made it necessary to find a candidate who can navigate through the myriad of terms and conditions imposed by two federal discrimination cases that found the police force, which serves Colorado City and its sister city of Hildale, Utah, discriminated against community members who did not follow the Fundamentalist Church of Jesus Christ of Latter-Day Saints. “I think for us to be able to navigate through the various court requirements that we have, and in order to come up to the mark that is expected of us, we need someone in that position that has more depth to their experience,” Allred said. The Town Council is focused on bringing in a candidate from outside the area who has experience in multiple law enforcement disciplines and positions, that will help the Marshal’s Office and municipal branch comply with the requirements set forth by the courts. Ideally, they are looking for a candidate with at least 20 years of law enforcement experience who has an objective view of the department’s operations, with the ability to see them with a fresh set of eyes, Allred said. The mayor emphasized that the decision to terminate was not conduct-related, and that Darger put forth a great deal of effort in the community since taking office in 2009. Requests for an interview with Darger went unanswered. In recent years, a series of lawsuits and court filings claimed the towns were denying housing and municipal services to residents who live outside the sect, and then used the police to enforce this alleged discrimination. This issue was covered in a St. George News story that covered a petition to remove a deputy from the Marshal’s Office. After losing the second federal lawsuit in 2016, a federal judge ordered changes, one of which required that police procedures be revised and that an independent mentor be appointed to advise the police chief in Colorado City. The rulings ordered the appointment of an official who will monitor the towns on behalf of the court, to observe municipal operations and to ensure they are following their respective states’ laws. The federal court ruling ordered the Marshal’s Office to hire both a police-practices consultant and an independent mentor for the chief. The town council’s decision came on the heels of those court decisions, as well as multiple other civil claims that have cost the town millions of dollars over the last few years, which increased the level of scrutiny the town is now faced with. Numerous changes, such as Hildale’s municipal government that experienced monumental changes after a sweeping victory for the non-FLDS challengers that took office in January, have resulted in a shift in demographics, with more non-FLDS moving into the area. The two municipal governments are evolving to meet the demands, Allred said. Ah, boo-hoo, too bad….It’s about damn time! “Polygamy is illegal in all 50 states. But Utah’s law is unique in that a person can be found guilty not just for having two legal marriage licenses, but also for cohabiting with another adult in a marriage-like relationship when they are already legally married to someone else.”….so WTF is with that Utah?……… You citizens of Utah need to follow the laws except this one? Not all the citizens of Utah are polygamous !